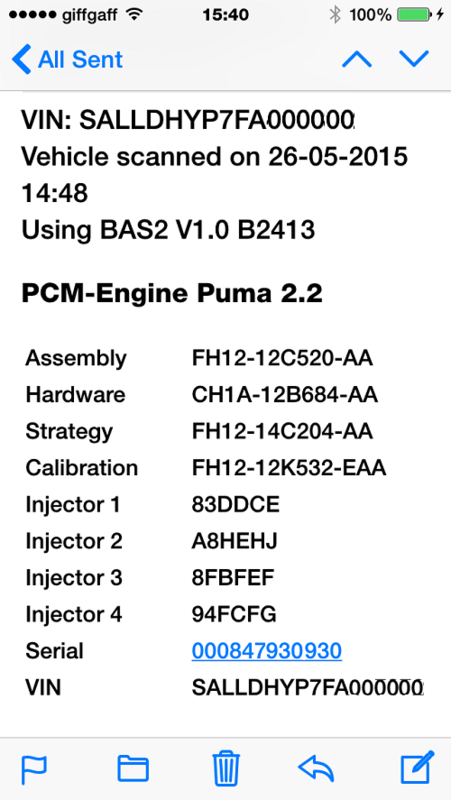 Request Puma 2.2 Tuning File Via Email – BAS Remaps, Powering the Landrover tuning world! 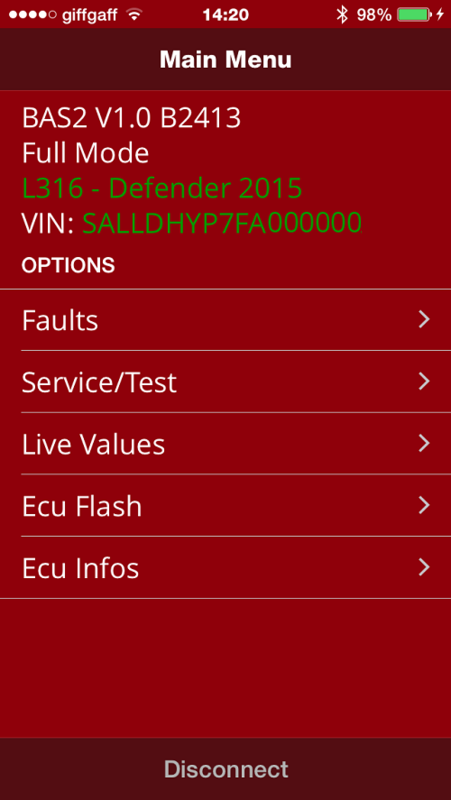 From the main menu of the app press to select “ECU Info’s” and confirm read when pop up box is shown. The Tuning process requires the following information to be provided in email so we can process your order. ☻ECU Info page sent to our Default email address. ☻BAS2 RRC Serial number from the sticker found on the SIDE of the tool. ☻Car Modification List, including ANY non engine related modifications. Please see the demo video to the right on how to send the needed info direct from the application aiding us in dealing with your request in an efficient manner. This video shows the whole process of reading and sending ECU info should you get confused. All info should be sent within the emailed ecu info page direct from the application. As you see from the “Sent Box” of my mail app all information is pre populated within the mail for ease of sending in the correct format. Once we receive your tuning request we will process the files and email you back to advise that you can update your BAS2 RRC. Please make sure you provide ALL requested information all in one email or processing your tuning may be delayed.